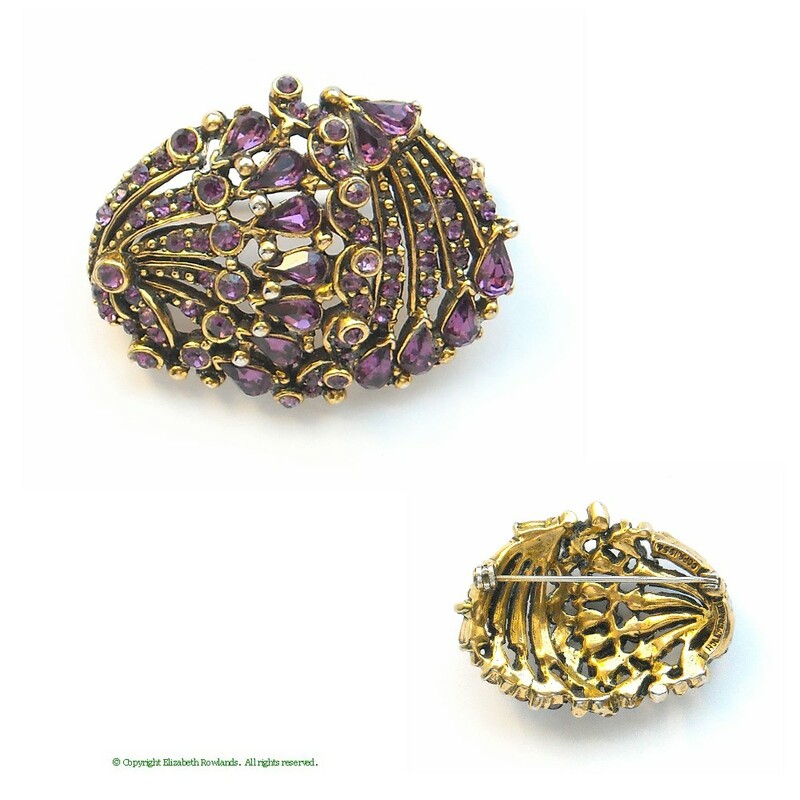 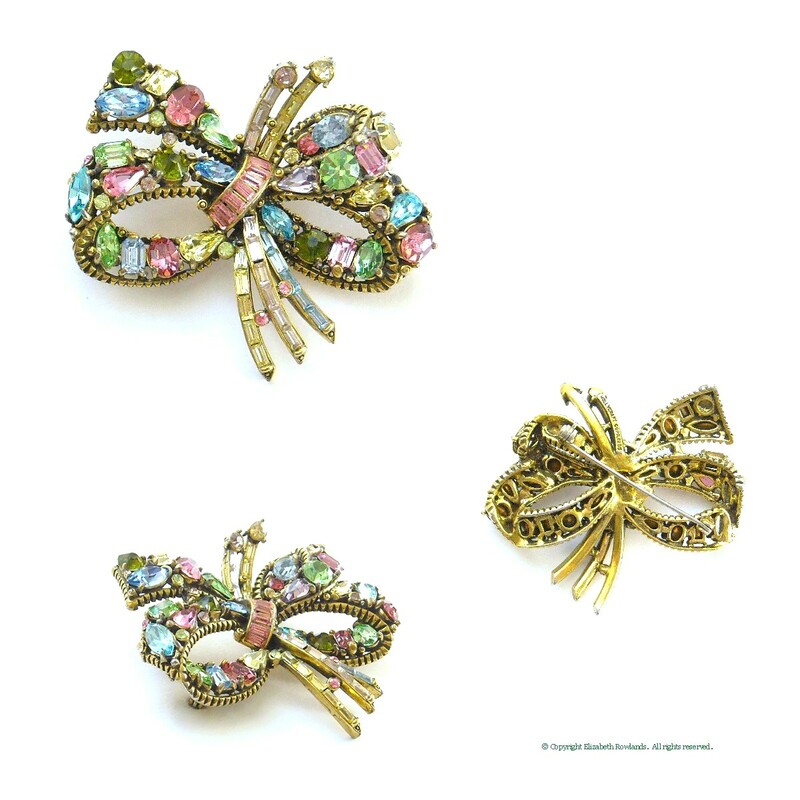 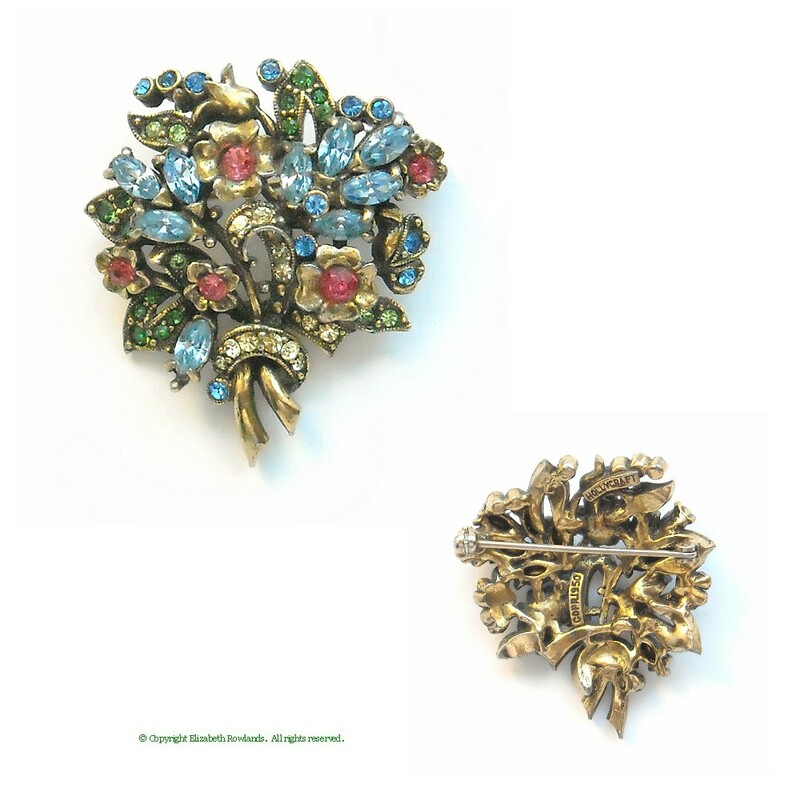 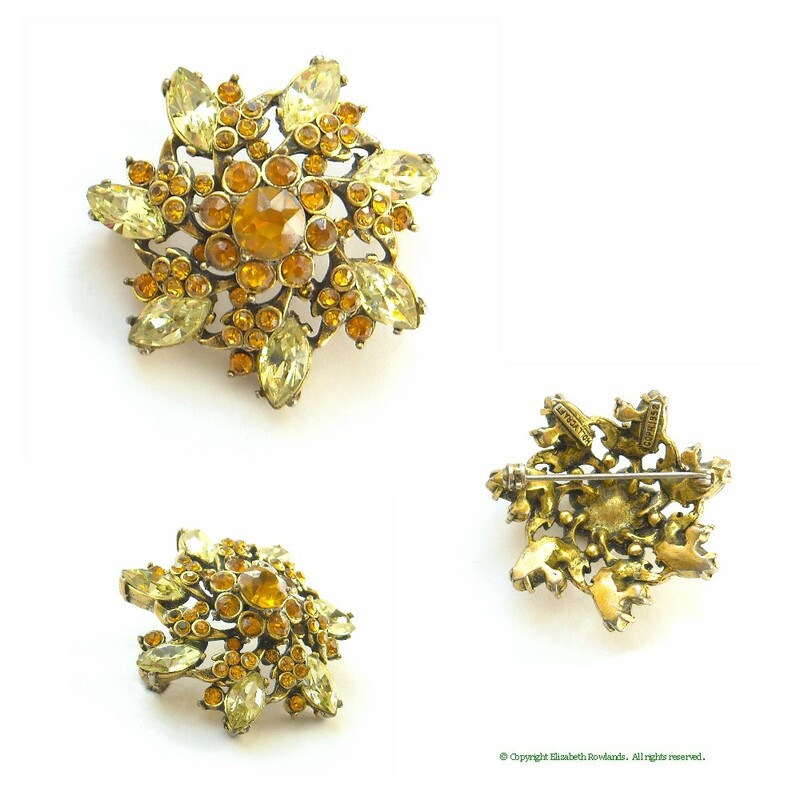 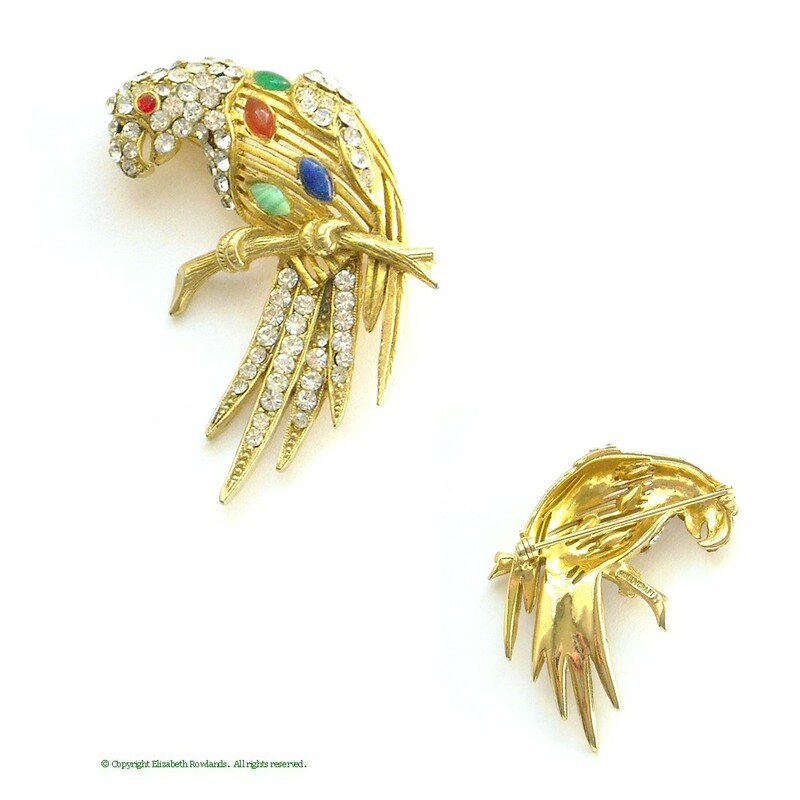 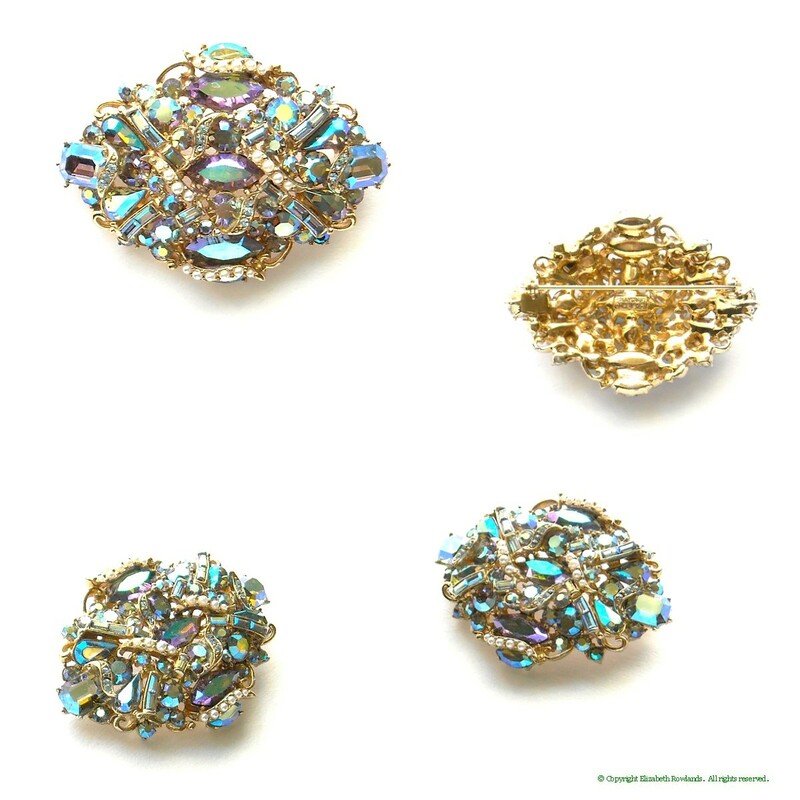 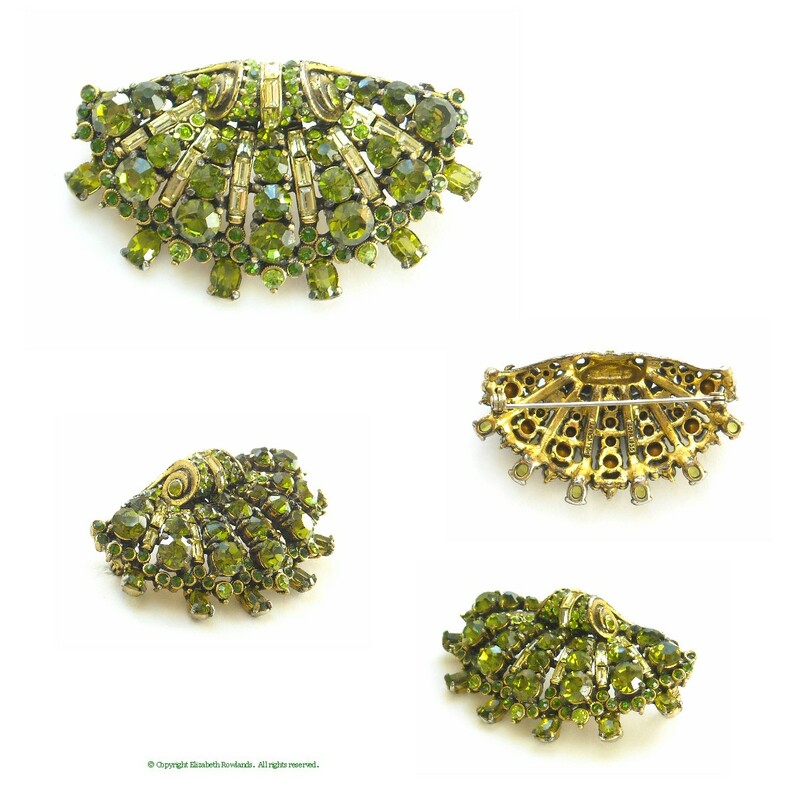 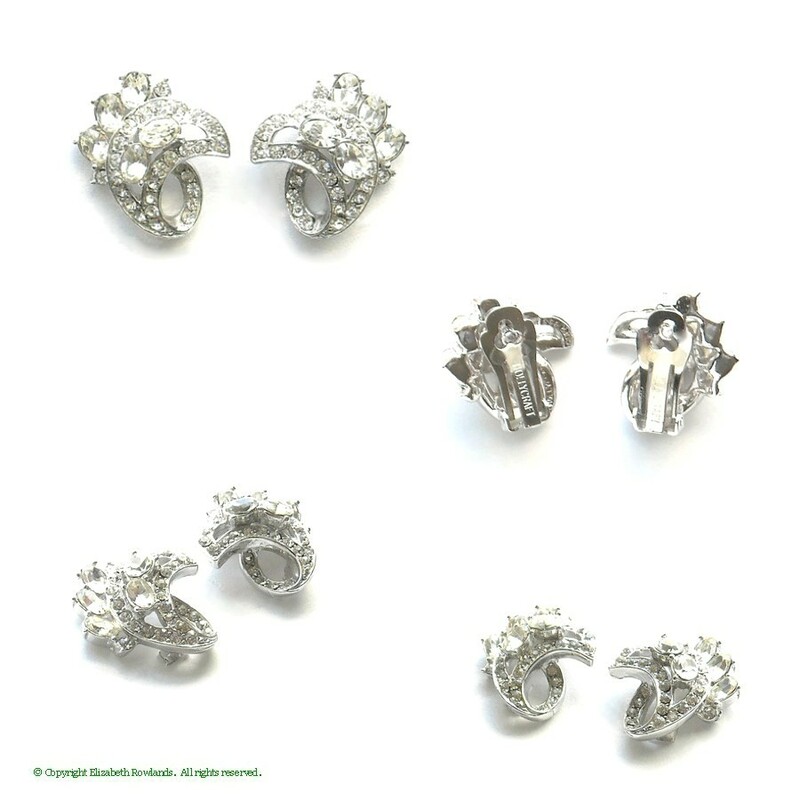 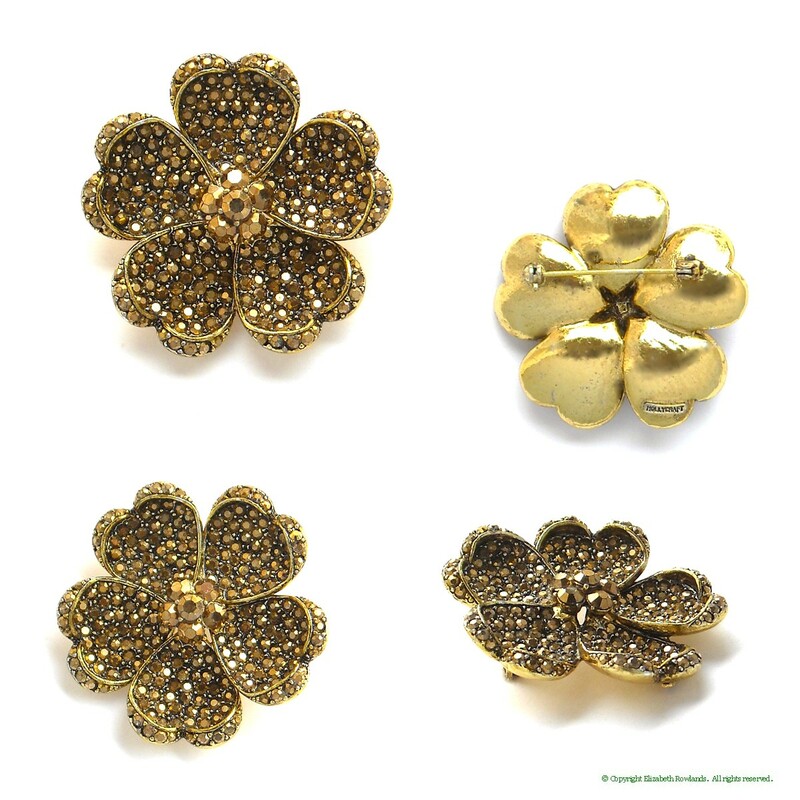 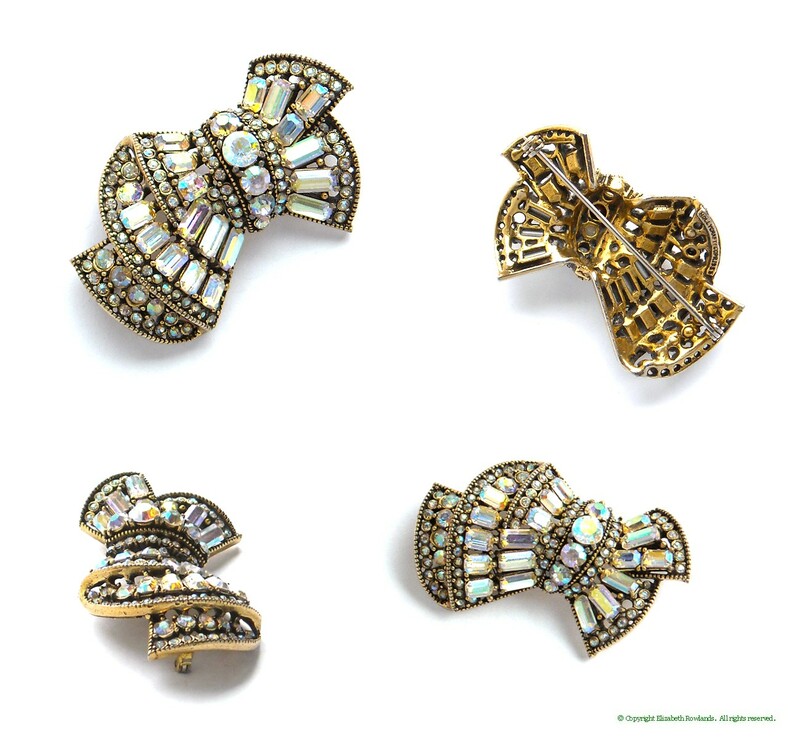 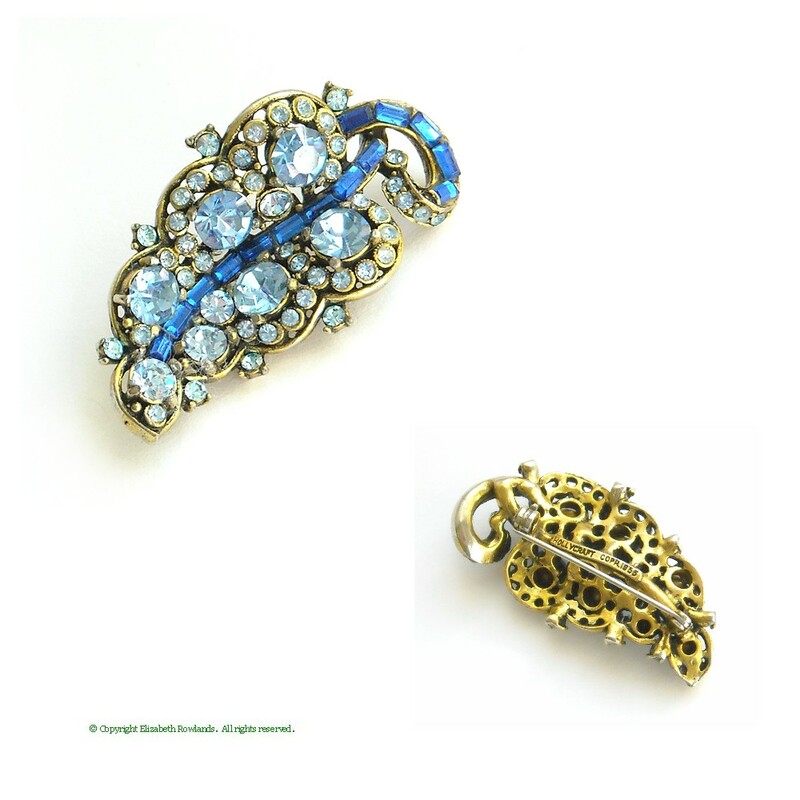 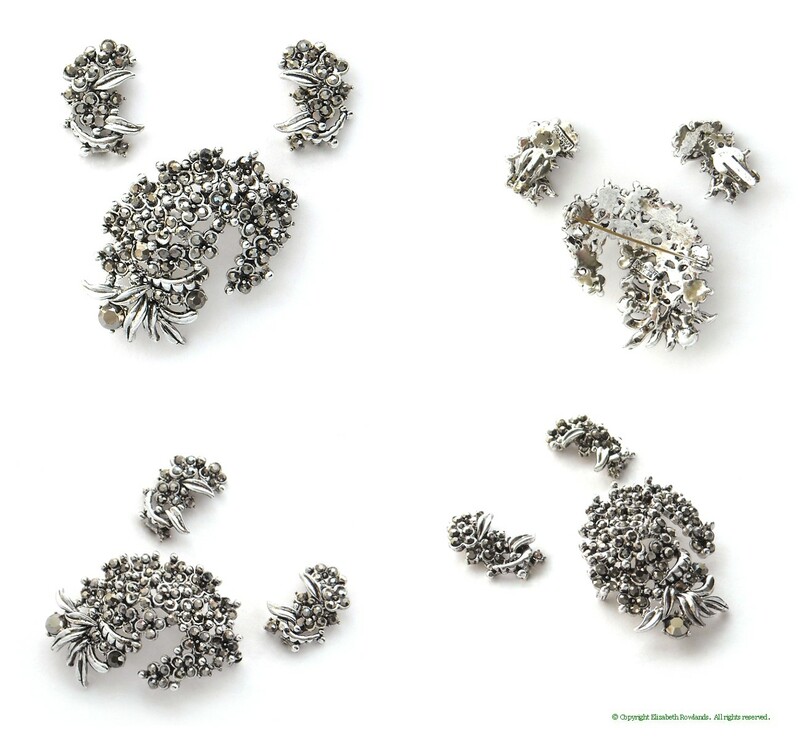 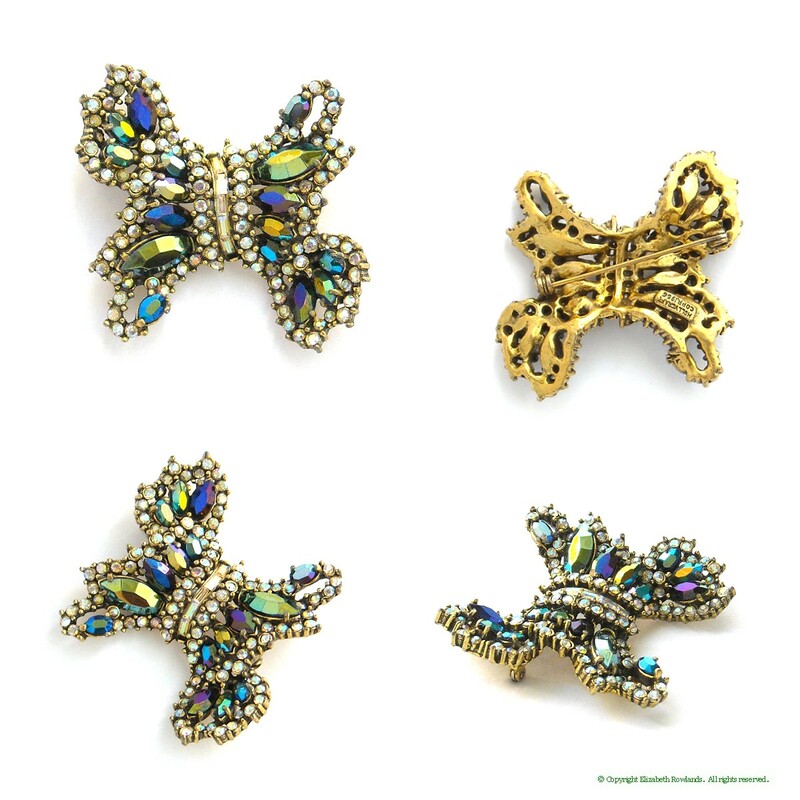 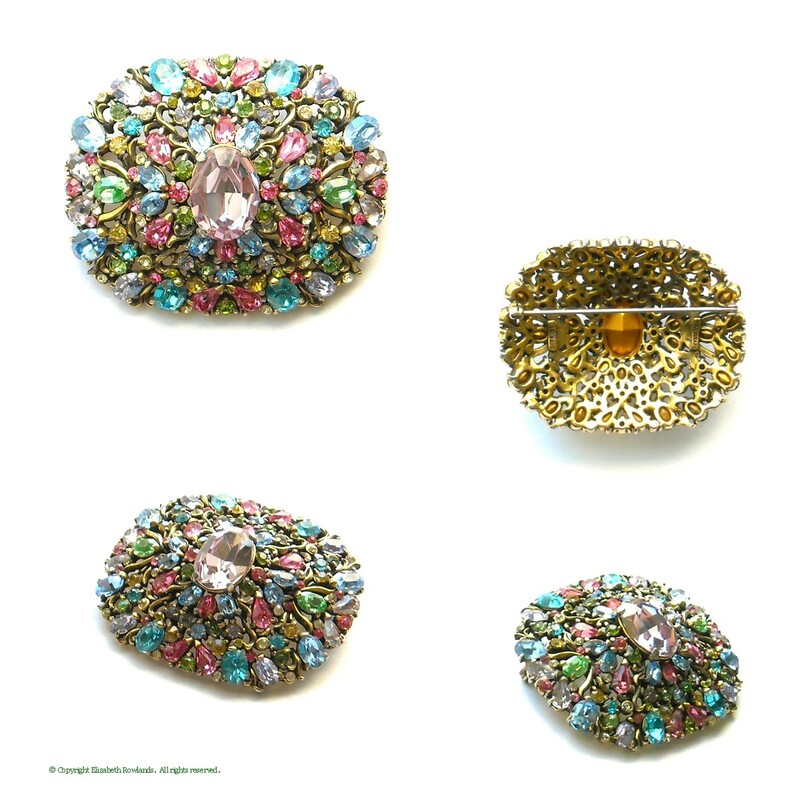 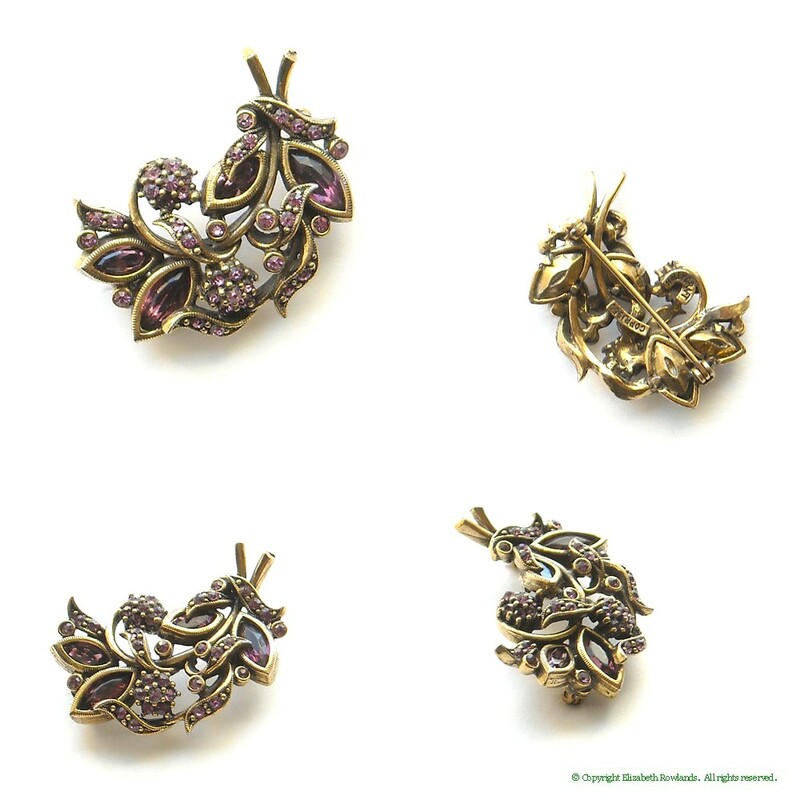 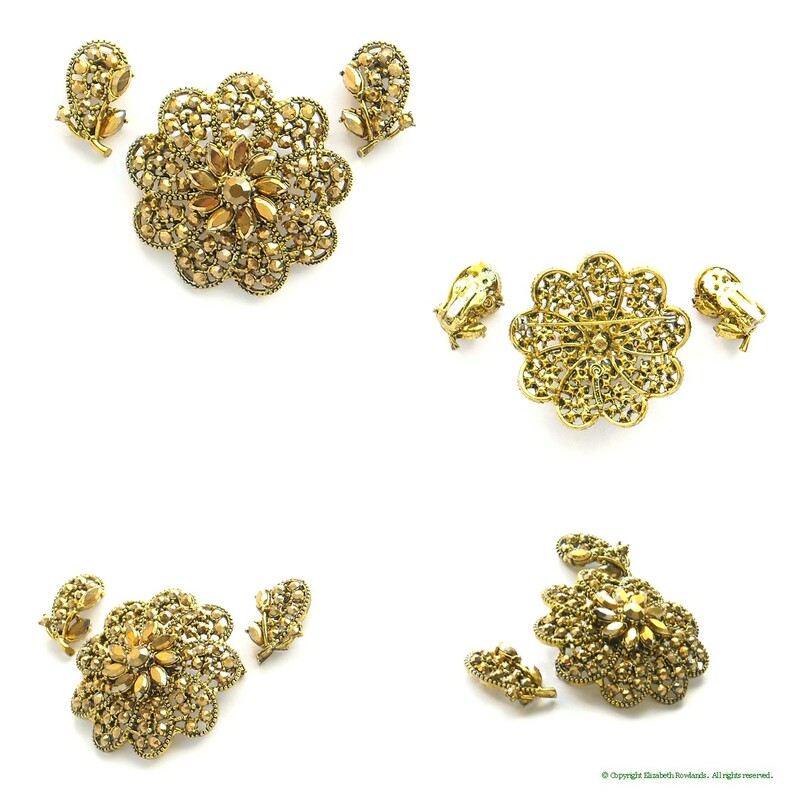 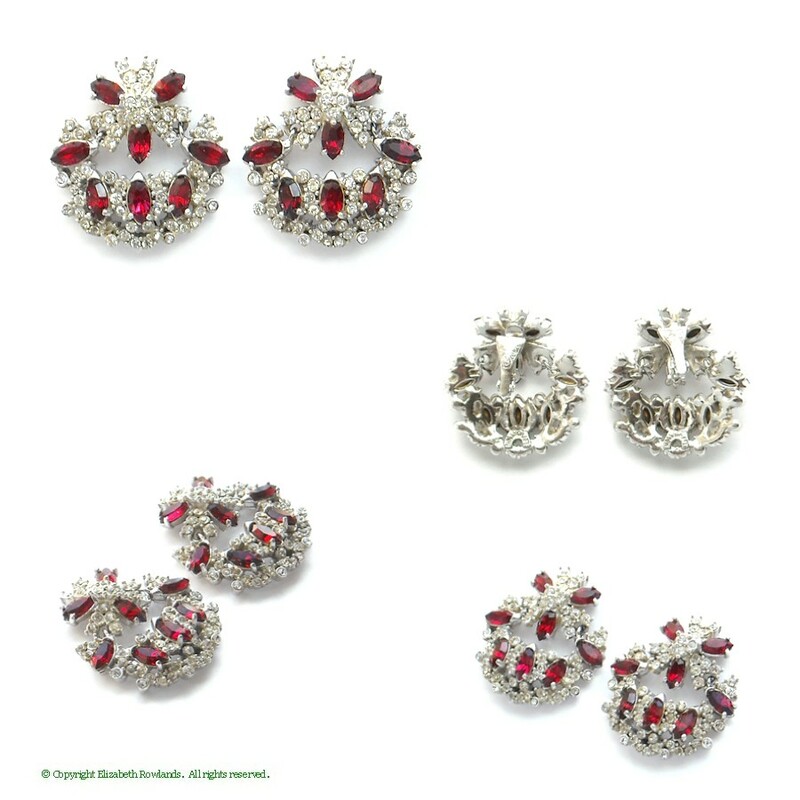 See Dorothy's Designer Notes for an article on Hollycraft jewelry. 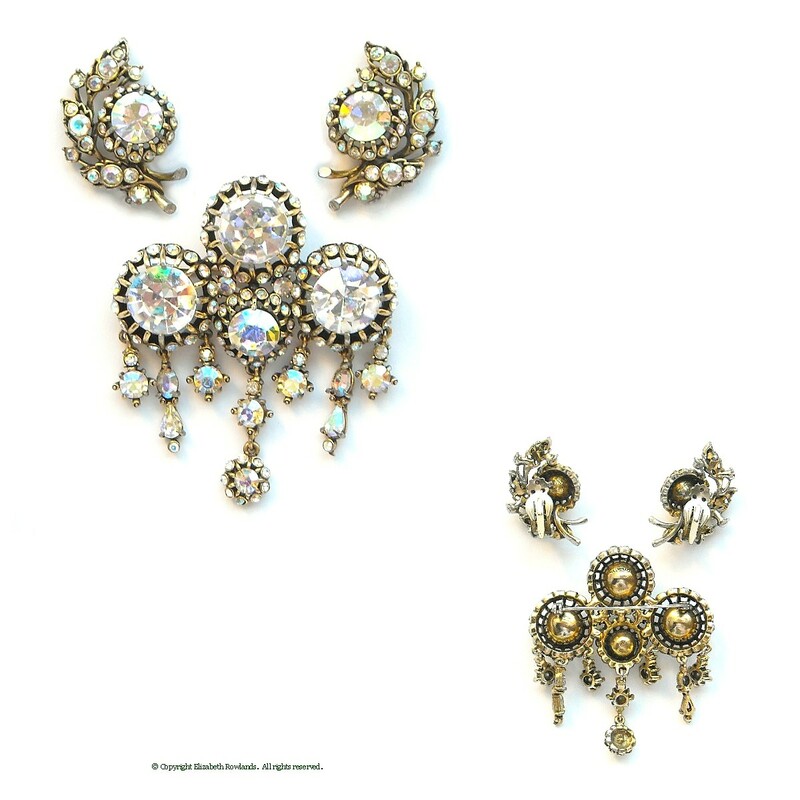 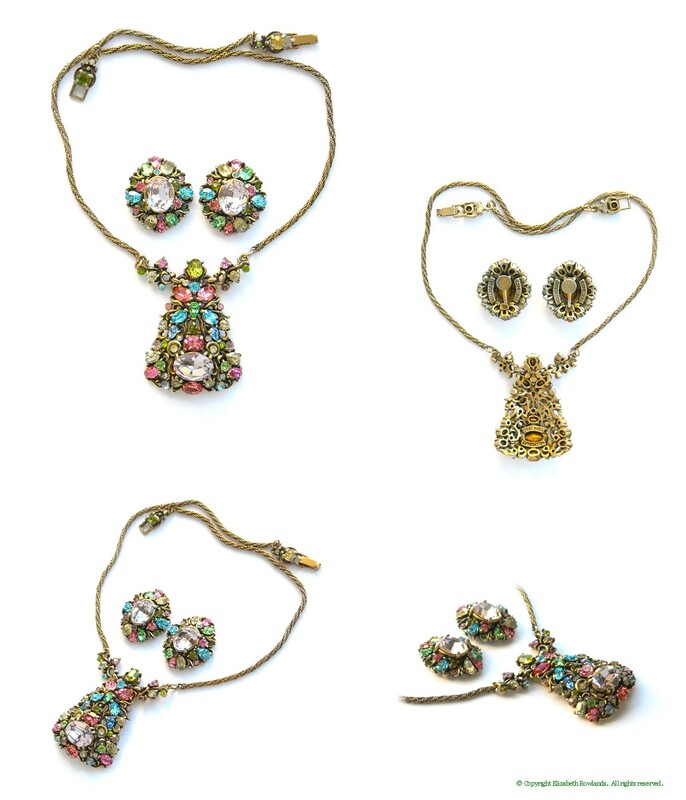 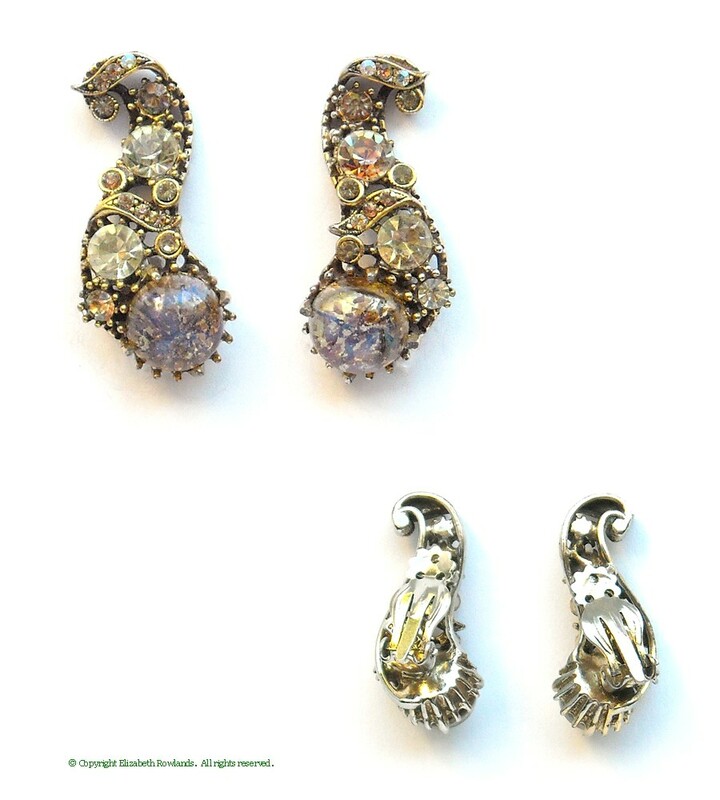 Necklace: 16" long, ⅞" wide; Earrings: 1⅛ by ¾"
Delightfully elaborate, these screw-back dangle earrings are a rare design that matched the 'pocket watch' or vial pieces. 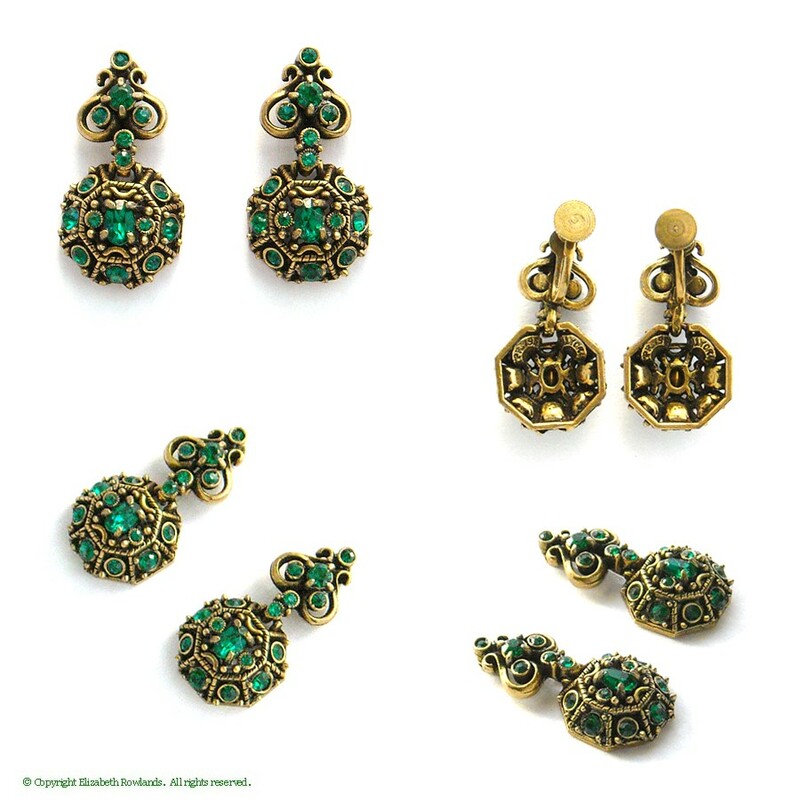 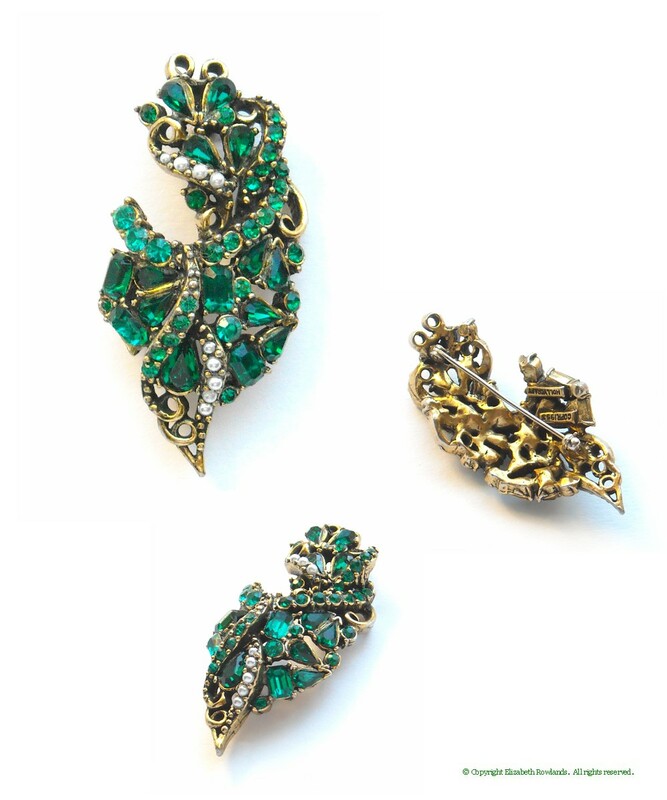 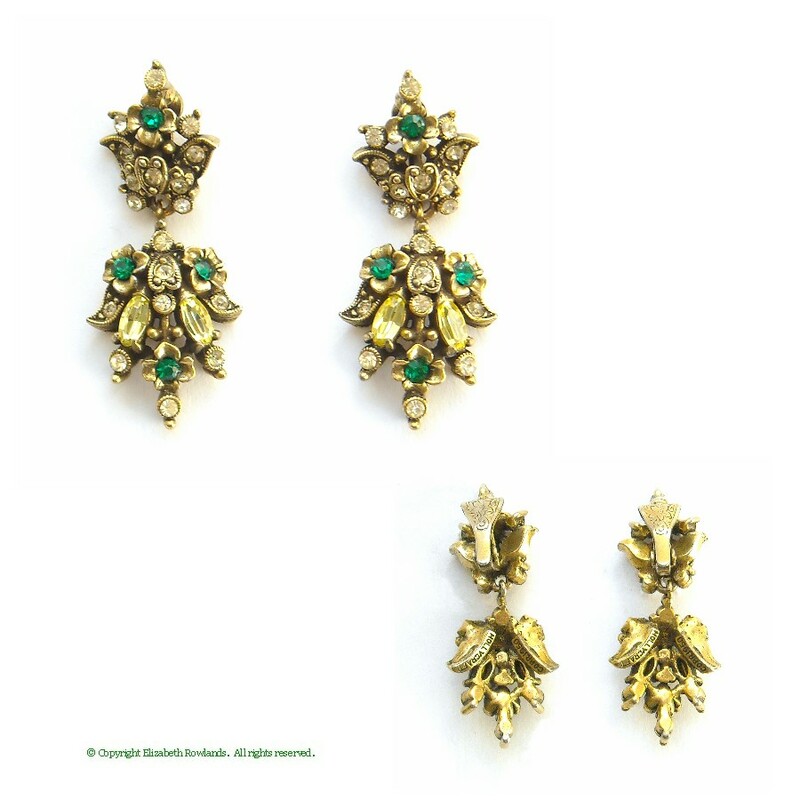 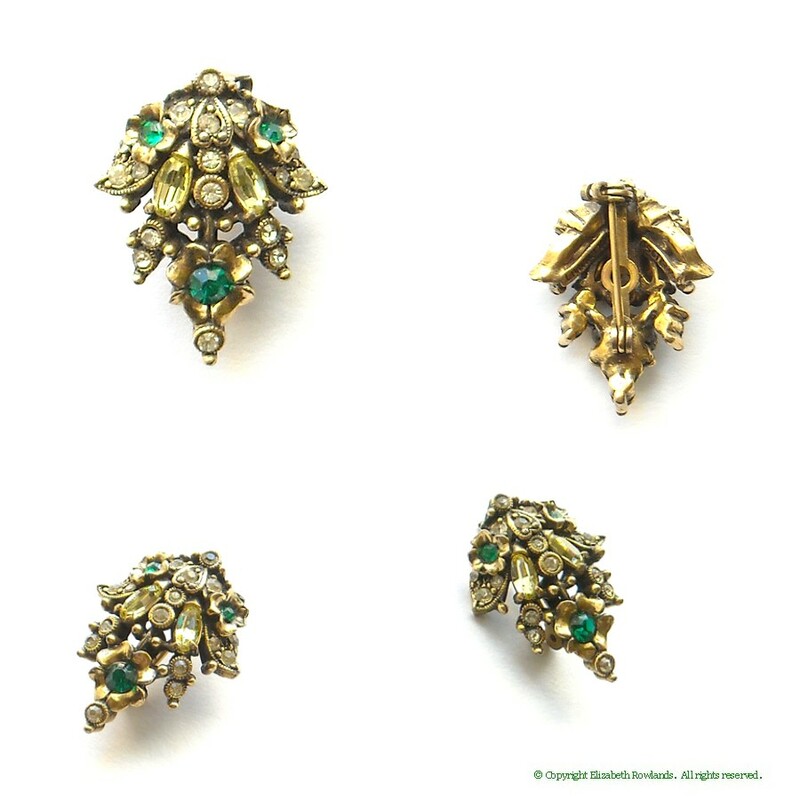 They have lovely golden flourishes and emerald green rhinestones. 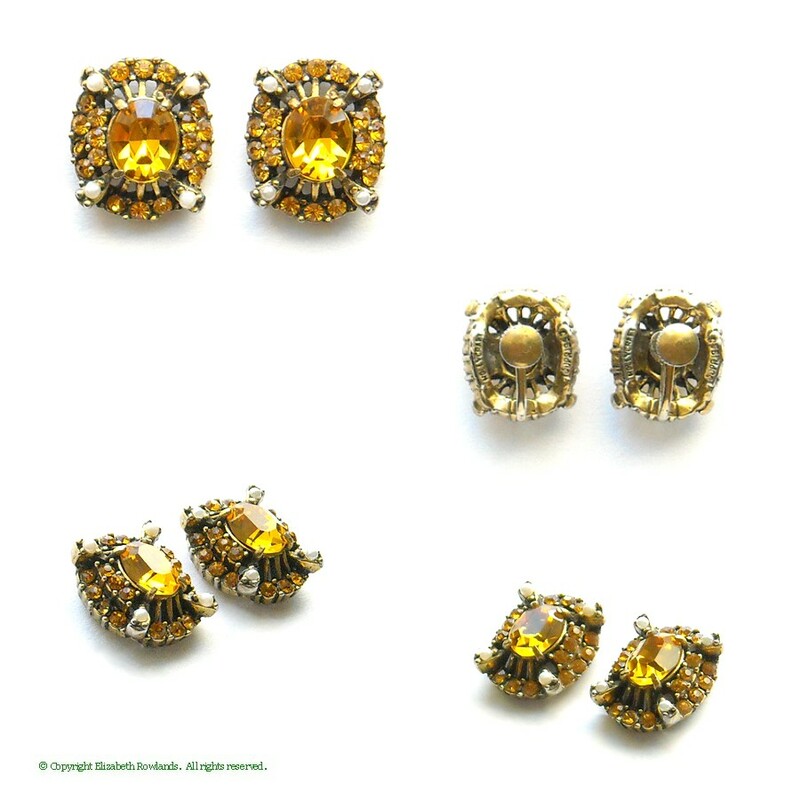 Exceptional condition. 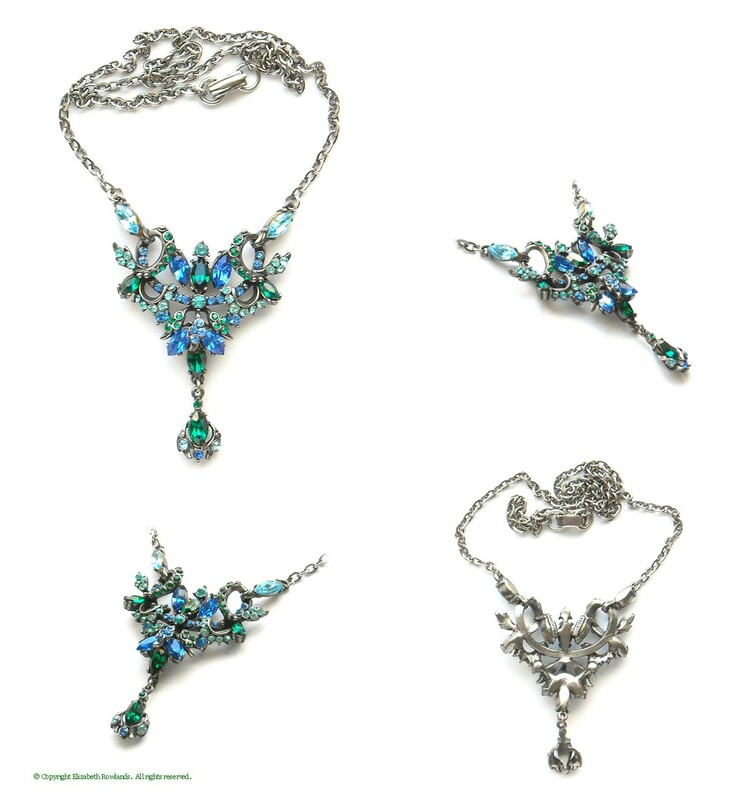 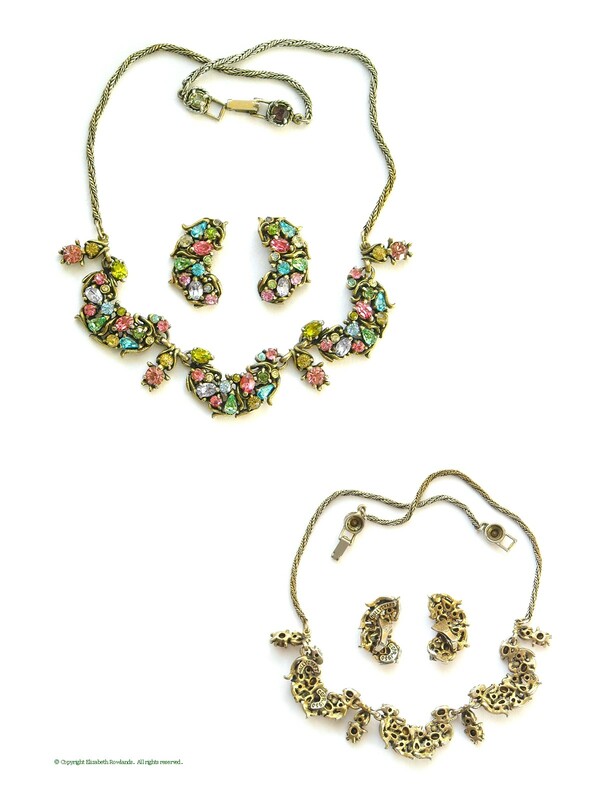 Necklace: 16", 2" drop; Earrings: 1⅛ by 1"
Brooch: 3 by 2½"; Earrings: 1½ by 1"
Brooch: 2¼ by 1⅝", Earrings: 1 by ¾"
Brooch: 2" diam. 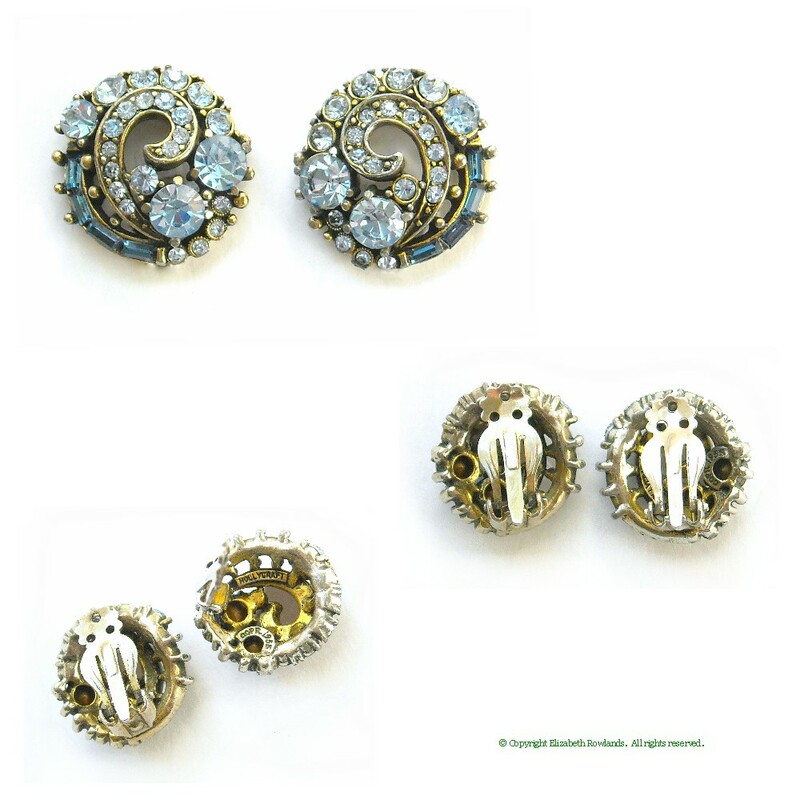 ; Earrings: 1⅛ by ¾"